DUI checkpoints are locations where police officers stop drivers to determine if the drivers are intoxicated or impaired in any way. 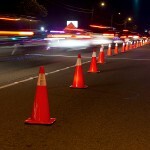 Usually, a DWI checkpoint is a roadblock where drivers are screened at random. 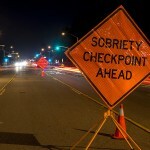 The use of DUI checkpoints by California police agencies is increasing every year. If you are arrested and accused of DWI because you were stopped at a DUI checkpoint in southern California, you’re going to need legal representation immediately. Contact an experienced Orange County DUI attorney as quickly as possible. 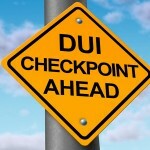 In a dozen states, legislatures or courts prevent law enforcement agencies from setting up DWI checkpoints, but California allows them, and the U.S. Supreme Court has determined that checkpoints are legal. In the highest court’s opinion, a DWI checkpoint’s violation of your rights is minimal and carries less weight than the state’s responsibility for public safety. Even in California, however, not all checkpoints are always established or operated legally. If you’re stopped at a checkpoint, be courteous and polite, and you have a good chance of passing through cleanly. You have a constitutional right to not incriminate yourself, so you should politely decline to take any field sobriety tests. Unless you are under 21 or on probation for a previous DUI conviction, you are only required to submit to a DWI test after a formal arrest. There are a number of potentially effective defenses a good DWI lawyer can offer on your behalf if you are arrested at a DWI checkpoint. Of course, if you plan on driving, avoiding alcohol entirely is the smartest strategy. If, however, you are stopped, arrested, and charged with DUI, a good DUI lawyer can fight for justice on your behalf and bring your case to its best possible resolution. If you face the charge, make the call right away to an experienced Orange County DWI attorney.